The Skoda Citigo is the badge engineered version of the hatchback Volkswagen up that is scheme to arrive in the Indian market around mid-2017. 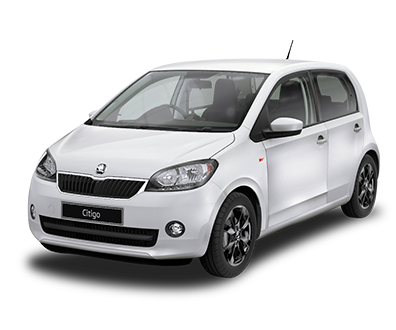 The Skoda citigo is Expected to be launched on Jul 2017 - Sep 2017. The expected range of car is ₹4,00,000 - ₹5,00,000. The car boasts of ABS, ESP, starts/stop system, brake energy recovery and low rolling resistance tires. The Low Range Radar Sensor locates interference in front and brakes automatically if the car is moving under 30 km/h. Parking sensors, fog-lamps, traction control and rear seat belts. The cars top model will cost around ₹ 5, 00, 000 and Cars base model will cost you around ₹ 4,00,000 (ex-showroom Price). The Skoda grille and body-colour panel give the Citigo a slightly more restrained look than the cooler VW Up. It also goes without LED running lights and the distinctive tail-lamps of the Up, while 14-inch wheel trims or alloys are fitted across the range.